Once we establish our personality styles or paradigms to help us apprehend and navigate around the world, we can either keep them pliant, flexible, accommodating, and up to date; or we can rigidly maintain them, assimilating everything into them, and suffer what Joel Barker (1992) calls paradigm paralysis and George Kelly (1963) labeled hardening of the categories. There are many reasons why we might not want to change our personality paradigms once we have formed them. They’ve worked for us and we’ve become successful experts within their existing range. Outside the range of our paradigm, we’re back to average. The more adept we become within our style and the more we become invested in it, the more we have to lose by changing it. Another reason for resisting change is that our identity has become intimately associated with our paradigm. We fear that, if we alter our paradigm, we will alter our sense of who we are and that will leave us feeling confused and lost. Holding onto our established identity and paradigm protects us from experiencing this existential anxiety. We maintain our paradigms because they have become familiar and familial to us. We become accustomed to having them around. They feel comfortable and familiarity breeds complacency. Staying true to our schemas keeps us loyal to our family’s rules and roles. They give us a sense of belonging. Efficiency, familiarity, comfort, and fit are some reasons why we hold onto our paradigms. How we hold onto our paradigms or schemas, even in the face of disconfirming evidence, requires some practice. For some insights into how our early schemas about our selves and the world are maintained, we can turn to the cognitive theories of Aaron Beck (1976) and one of his students, Jeffrey Young (1999), who has researched schema maintenance, schema avoidance, and schema compensation operations. We maintain our paradigms by selective attention to information that confirms our schemas and by selective inattention to information that disconfirms our schemas. For example, if you believe you are unlovable and people don’t want to be with you, you will pay attention to any slights, signs of boredom, and/or signs of inattention on the part of others. Since you are hyper vigilant about this, you will eventually find what you are looking for. Or if you don’t find it, you’ll make it up and believe you see it. On the other hand, you will diminish the importance of any signs of caring, attention, and interest that come your way. You will say: “That doesn’t count.” Or you will interpret others’ care to be manipulative or given under duress. Schemas can also be maintained by self defeating behaviors. If you believe people don’t care about you, you will pick narcissistic individuals who really don’t care about you; or you might keep looking for unavailable people; or you may fall into a pattern of abusive relationships. So we can use mental tricks to maintain our schemas and we can run faulty behavioral experiments finessing the data to confirm our hypotheses. Here are what schema maintenance procedures look like when fanned out into the nine Enneagram styles. ONES maintain their schema that the world and all within it need to be improved by paying attention to what’s wrong and what’s missing and by paying little attention to the good that is already there. TWOS maintain their schema that they are helpers in a needy world by paying attention to the needs of others and by registering the approval and appreciation they receive for being helpful. THREES maintain their schema that they are the efficiency experts in a disorganized world by noticing the inefficient attitudes and behaviors of those around them, by not paying attention to the work done and successes achieved without them, and by recording the rungs of the ladder they climb and the kudos they receive thanks to their accomplishments. FOURS maintain their schema that they are aristocrats in exile, strangers in a strange land, tragically flawed, and imminently about to be abandoned, by noticing every lapse of attention shown them, every misunderstanding they receive, every flaw in themselves and every corresponding perfection in others, by comparing themselves with others and always coming up short, and by discounting others’ acceptance and love. FIVES maintain their schema that the world is intrusive, withholding, and non-negotiable about both, by being overly perceptive of others’ demands and expectations, by being hypersensitive to others’ denying their requests, by feeling powerless about negotiating what they want, and then withdrawing as a default maneuver. SIXES maintain their schema that the world is threatening and dangerous by looking for germs and enemies, imagining the worst, and by not paying attention to the times, places, and people where and with whom they felt accepted, safe, and secure. SEVENS maintain their schema that they must have options and must always be “up” by focusing on the good times, remembering and anticipating pleasant events, moving from experience to experience so fleetingly that real satisfaction doesn’t occur so they must compulsively move on to the next pleasurable happening. EIGHTS maintain their schema that the world is hostile and out to get them by noticing slights, abuses, and manipulations where there might not be any, and by downplaying or denying the sincere motivation of any affection or kindness shown them. NINES maintain their schema that the world is indifferent and they had best resign themselves to this fact by telling themselves “what’s the difference,” by noticing the futility of any of their personal initiatives and interventions, and by not paying attention to the changes they affected by their actions. Because schemas elicit such uncomfortable and painful thoughts and feelings as shame, guilt, fear, and anger when they are activated, we maintain our schemas by avoiding anything that would trigger their appearance. We can do this on a cognitive level through defense mechanisms that block the schemas from reaching consciousness. We repress them and go blank when asked to think about something that sets off the schema. Our intellect, imagination, and senses mysteriously fail us around this troubling material. For example if you ask TWOs what they need or ask THREEs where they’ve failed, you are likely to get a blank expression or at best a quizzical look. Not only can we block an awareness of our schemas, we can also block out any feelings that might accompany our schemas. We go emotionally numb as well as cognitively blank. This may involve a topical anesthesia. E.g., we might feel angry or happy or fearful; but we don’t feel sad. Or we may experience a general anesthesia by attenuating and numbing all our feelings. We might have a low grade chronic depression. If you ask a FIVE what they are feeling right now, you find out what they’re thinking or you get a pause ranging from a few moments to a few days while they figure out what they’re feeling. Finally we can avoid our schemas on a behavioral level by refraining from activities that might activate our schema. If we are afraid of failing, we will avoid jobs, relationships, activities, etc. that might end up in failure. Maslow’s “Jonah complex” fits here. When Yahweh asked Jonah to be his spokesperson, Jonah demurred, believing himself to be too incompetent and unworthy to tell the Ninevites anything. He spent a lot of time in the belly of a whale to avoid finding out whether he could mediate or not. Better to stay with what you know than risk some dire results from what you don’t know. Agoraphobia (or spending time in the belly of a whale) would be an extreme instance of a behavioral avoidance to keep from activating schemas. If you ask ONEs or SIXes whether they were rebellious when they were teenagers, you are likely to get an “Of course not!” response, since such behavior is hardly befitting responsible, conscientious, law-abiding boys and girls. ONES avoid slacking off, doing anything sloppily, or doing what they really want for fear of being criticized and feeling guilty. They avoid play and relaxation. This keeps their perfection schema in place. TWOS avoid expressing their own needs for fear of being judged as selfish and then having their needs and themselves rejected. This keeps their helping schema in place. THREES avoid triggering their failure schema by eschewing any project that won’t turn out successful. By avoiding their own agenda and feelings, they stay suited up in their image or role and thereby keep their achievement schema in place. FOURS avoid triggering their schema that they are flawed, unbefitting, and unacceptable by entering intimate relationships but then rejecting the other person before the other can accept or reject them. This keeps their troubled, special schema in place. SIXES avoid touching off their schemas of being cowards, unfaithful, heretical, or fragile, by avoiding their fears and their own convictions, and by staying close to authority figures and following the rules (if they are FEARFUL), or by staying away from authority figures and their beliefs, and impulsively acting against their fears instead of staying with their fears (if they are COUNTERFEARFUL). This keeps their fear schema in place. SEVENS avoid their schemas of being unhappy or limited by not committing to careers or persons that would tie them down, by avoiding painful situations and feelings, and by not sitting still for too long. This keeps their pleasure schema in place. EIGHTS avoid their schemas of being weak, vulnerable, and powerless by always staying on top and making sure they are never put in a one-down position. They avoid compassion and tenderness and embrace justice and might. This keeps their power schema in place. NINES avoid activating their schema that they are unlovable and overlookable by not being passionate about themselves, their opinions, or their feelings. By not making a big deal out of their preferences or needs, they avoid ever being disappointed and hurt. This keeps their indifferent schema in place. Finally we keep our paradigms or schemas in place by compensating for them, by doing the opposite of what we fear our schemas are really pointing to. So if we have a schema that believes we are a failure, we may cover this up and do the opposite by compulsively striving to be successful. Alfred Adler’s theories about the “inferiority complex” and “superiority complex” were the precursors of what cognitive therapists refer to as schema compensation. For example Adler himself, embarrassed by his club foot and feeling inferior to his older brother, compensated for his inferiority feelings by becoming a successful theoretician and social activist. Through this process of reaction formation, we keep our underlying schema in place because it is never looked at, challenged, or experienced and so we are never able to disconfirm it because all our energy is going into proving its opposite and preventing the painful schema from surfacing. You know you are over compensating when someone hits the underlying vulnerable schema you are attempting to cover up and a strong emotional reaction ensues. You may feel angry, hurt, embarrassed, humiliated, sad, or fearful when your “compensation button” gets pressed. Paradoxically our over-compensating tactics often bring about the very thing we fear or are trying to avoid. An example Young uses is the over compensation of narcissism for a basic sense and state of deprivation when younger. To compensate for feeling deprived when a youngster, the narcissist develops a sense of entitlement as an adult. I deserve this; I am owed this; and I shouldn’t have to do anything to earn it. What the narcissist really wants is to be loved and have her needs met by others. However the narcissistic behavior and attitude is often exaggerated since it is an over compensation, and the inflated sense of importance and entitlement alienates others who then choose not to be involved with the narcissist. So the narcissistic individual is again left alone at the pool with only his image to comfort him. From the Enneagram perspective, each exaggerated personality style may be thought of as being an over compensation for some contrary underlying schema. Here is a summary of the over compensation tactics of each personality paradigm and how they can ironically elicit the very thing we fear. Those who are exaggeratedly trying to be good and excellent at everything are compensating for underlying maladaptive beliefs that they are bad, unworthy, and imperfect. Being overly perfectionistic, pedantic, exacting, and critical frequently elicits criticism, anger, and avoidance from others. This confirms the belief the world is critical and not the way it should be. Those who are exaggeratedly trying to be helpful and generous are compensating for underlying maladaptive schemas that they are selfish, undeserving of love and consideration, useless, and unimportant. Being too nurturing and smothering often elicits pushing-away behavior in others instead of the hoped for coming-closer behavior. This confirms the belief that getting one’s own needs met is unacceptable and unlikely. Those who are exaggeratedly trying to achieve and be successful are compensating for underlying maladaptive beliefs that they are not acceptable in themselves; people don’t like them; they are failures as human beings. An overly achieving, mechanical style frequently turns other people off and encourages them to interact with the persona or role instead of with the real person. This confirms the belief that performance, not genuineness, pays off. Those who are exaggeratedly trying to be special are compensating for underlying maladaptive schemas that they are nobody; they are flawed and ugly; and people don’t want to be around them. An overly sensitive, refined, precious, entitled, easily misunderstood attitude generally brings about misunderstanding and distancing instead of empathy and connection. This confirms the maladaptive schema of being unlovable. Those who are exaggeratedly trying to know while remaining anonymous are compensating for underlying maladaptive schemas that they are ignorant, insignificant underdogs unable to represent themselves. Keeping quiet and withdrawing provokes intruding and projecting behavior from others. Nature abhors a vacuum, so people move into the space vacated. Being silent can either be interpreted as: “She must be thinking something brilliant;” or “He must have nothing to say.” This confirms the belief that the world is intrusive or withholding and you have nothing to offer it. Those who are exaggeratedly trying to be loyal and dependent or rebellious and pseudo-independent are compensating for underlying maladaptive schemas that they are cowards; they are deserving of punishment for transgressing some rules; and they are living in a dangerous world. A suspicious paranoid attitude usually elicits hostile or plotting behavior from others. Thinking that people are talking behind your back usually gets them talking behind your back. This confirms the maladaptive schema the world is out to get you. Those who are exaggeratedly trying to be happy and O.K. are compensating for underlying maladaptive beliefs that they are not O.K. ; they are limited; they are about to be overrun by depression; they are boring or are imminently about to be bored. People who are compulsively cheerful and enthusiastic often elicit limiting and depressing responses from others as they attempt to “ground” or “shoot down” the high-flying optimist. This confirms the maladaptive fear that others are going to rain on your parade. Those who are exaggeratedly trying to be powerful and strong are compensating for maladaptive underlying schemas that they are weak and vulnerable and the world is a hostile place. An aggressive attitude and behavior can just as likely elicit aggressive behavior in others as the intended fearful behavior. The less strong frequently try to fight the more strong as a way of proving themselves. This helps confirm the belief that the world is hostile. Those who are exaggeratedly trying to be settled are compensating for maladaptive underlying assumptions that they don’t fit in; they are unwanted and neglected; they don’t matter. You get what you ask for. If you don’t ask for anything, you don’t get anything. When you don’t express your needs, other people assume you don’t need anything and so don’t offer you anything. People seem cold and uncaring and this confirms the belief the world is indifferent. We stay stuck in our style when, instead of examining our paradigms and adjusting them as circumstances require thereby giving us maximally effective outlooks and responses, we forget or deny we’re wearing lenses, refuse to get our prescriptions checked as needed, look at the world through a narrowed outmoded perspective and consequently respond in stereotypical behaviors. 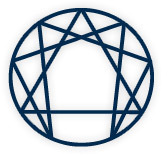 The Enneagram is a useful lens and schema checker offering us more varied and resourceful filters and pliant paradigms. Beck, Aaron. (1976). Cognitive Therapy and the Emotional Disorders. New York: Meridian. Young, Jeffrey. (1999). Cognitive Therapy for Personality Disorders: a Schema-Focused Approach. Sarasota: Professional Resources Press. This article is taken from Jerry Wagner’s book in process on The Enneagram Perspective: Nine Personality Paradigms.